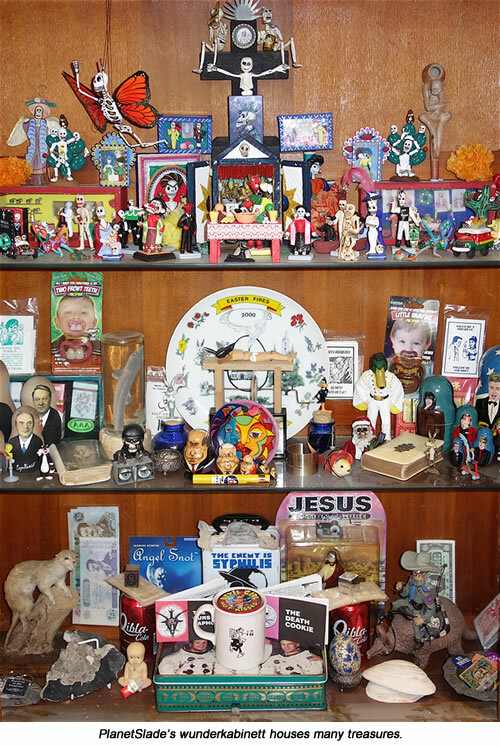 For a long as I can remember now, I've been slowly assembing my own version of the 17th century gentleman's cabinet of curiosities. 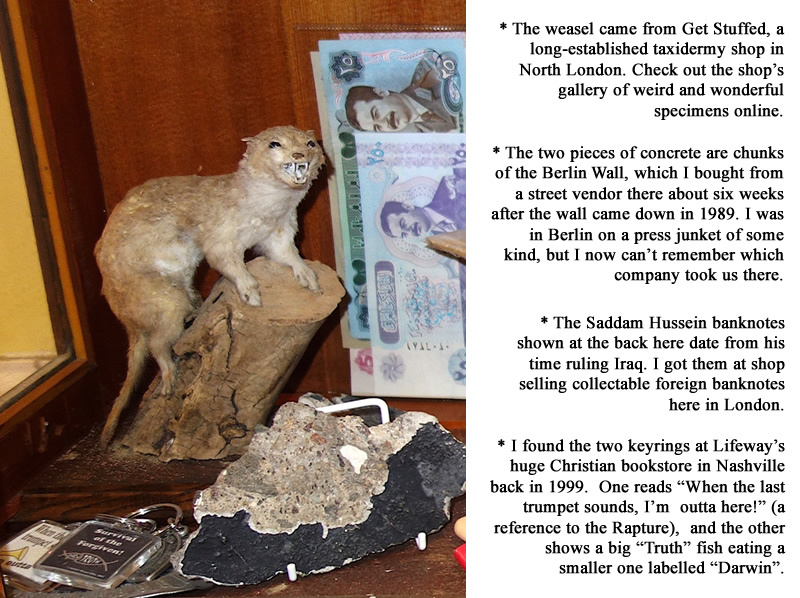 During that era, amateur scientists and the idle rich were relentlessly pestering explorers, sea captains and other travellers to sell them exotic bones, fossils and all kinds of native artifacts from the four corners of the globe. 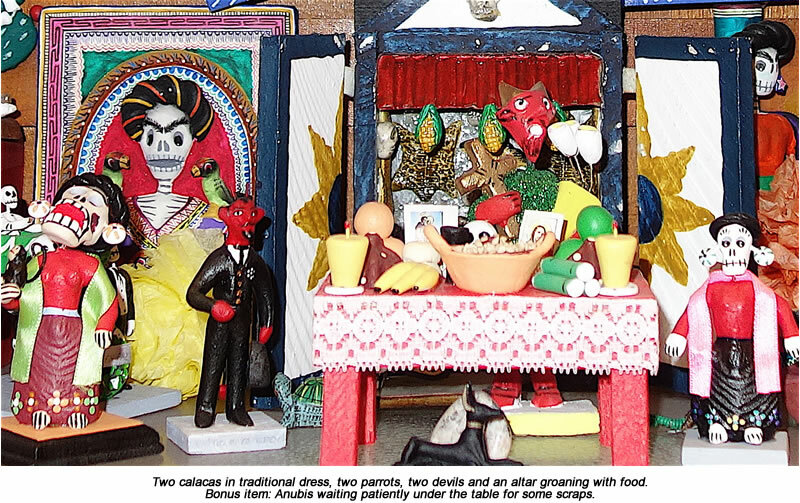 By creating elaborate displays of these objects in their homes, these collectors created the precursors to our modern museums - and also gave themselves something they could show off to their guests after dinner. My favourite example is Tradescant's Ark, a Lambeth collection put together by John Tradescant and his son in the early 1600s. 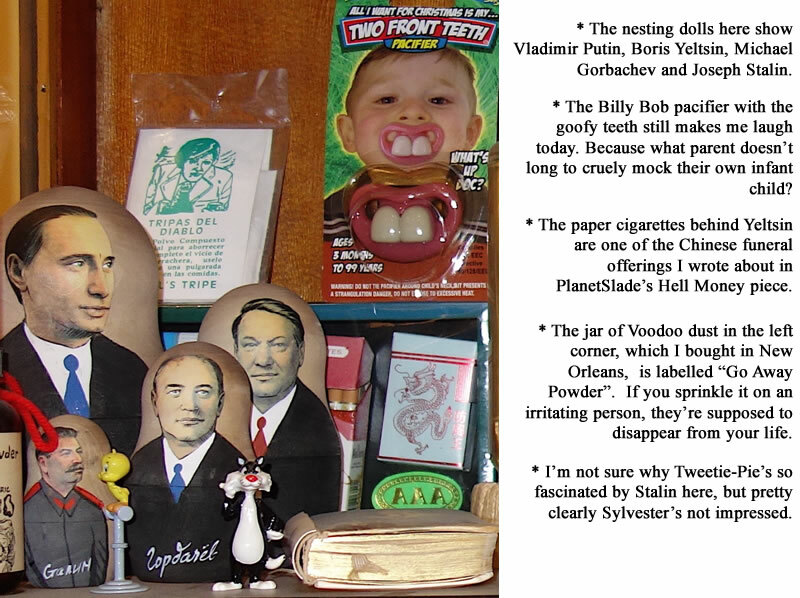 Alongside all the serious botanical stuff, they threw in a handful of items which would not seem out of place in a Ripley's Odditorium today. 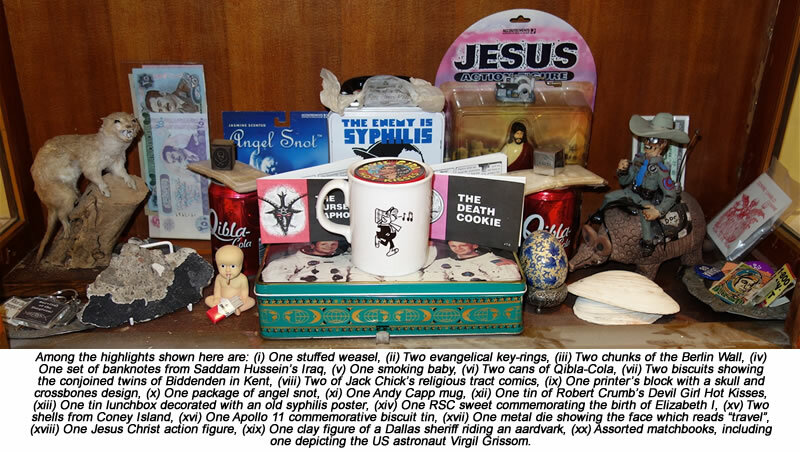 Christoph Stirn, a German traveller who visited the Ark in 1638, listed among the objects he'd seen there a mermaid's hand, a piece of the True Cross, a human bone weighing 42lbs and a whip said to have been used by Spain's King Charles V to scourge himself. Not bad. 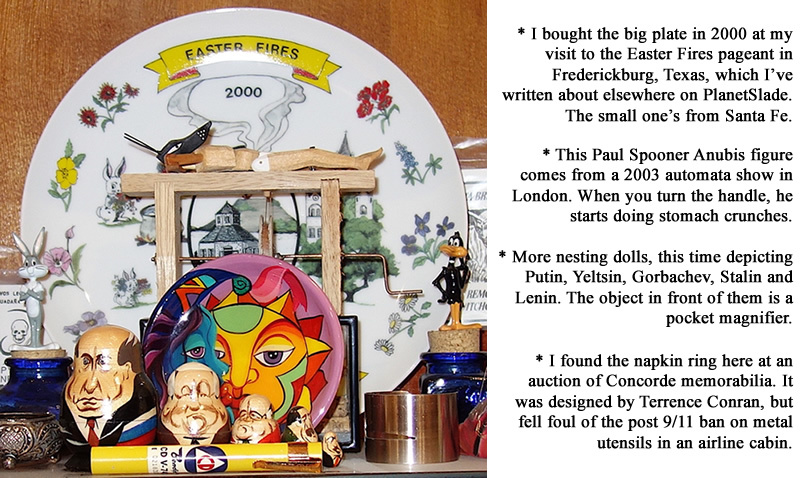 Nothing in my own little collection can match that. 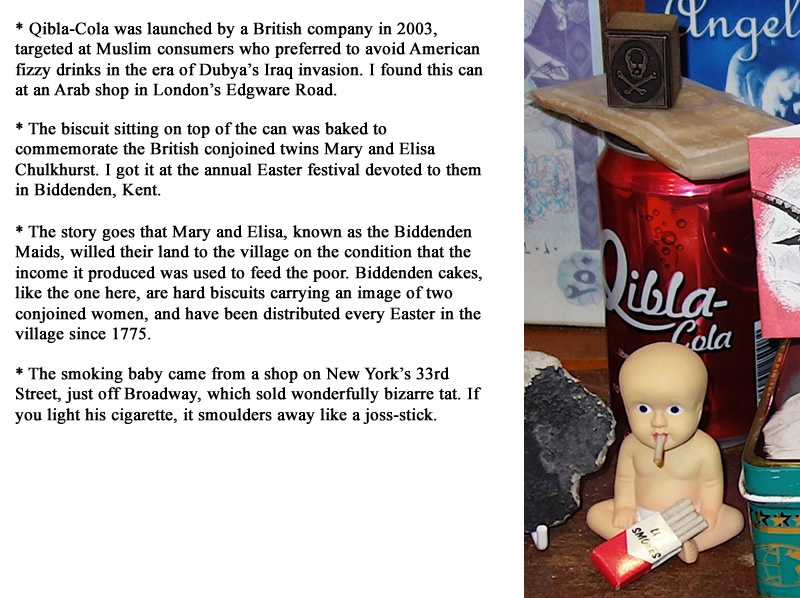 But, for anyone who shares my affection for the stranger products of modern consumer culture, I think it might hold some interest. Let's dive in together and see what we find. 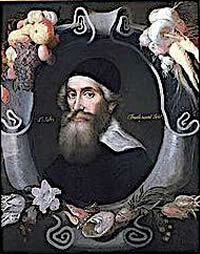 Portrait of John Tradescant the elder. 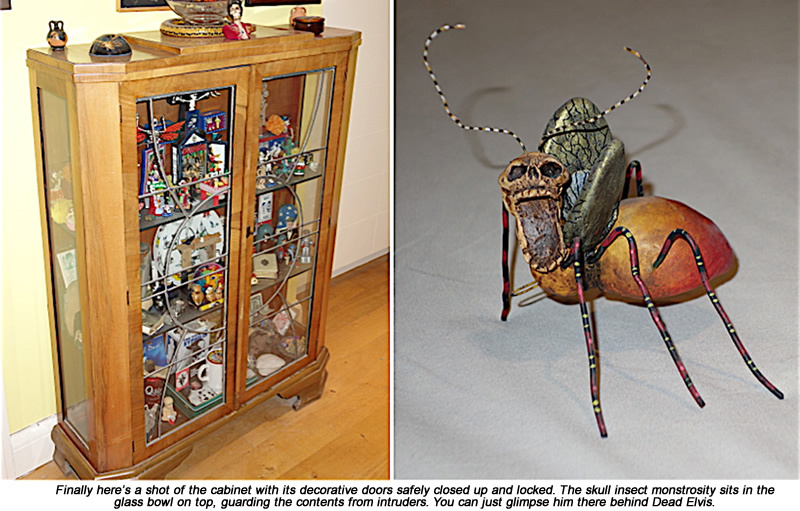 To read more about his extraordinary proto-museum, visit this Wellcome Collection page. 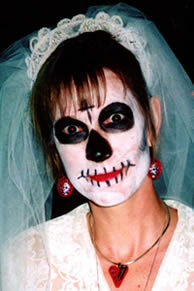 One of my fellow revellers at Albuquerque's 2008 Day of The Dead festival. 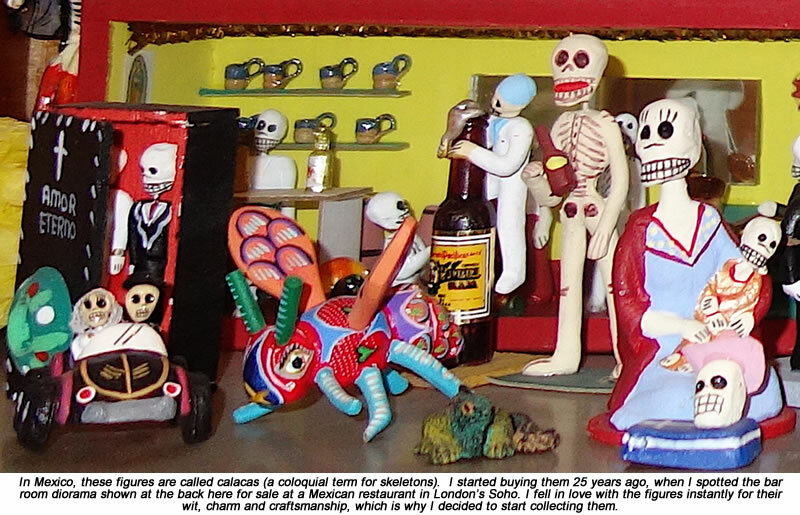 Wikipedia can get you started finding out more about calacas. 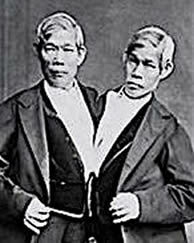 Chang & Eng both died in January 1874. 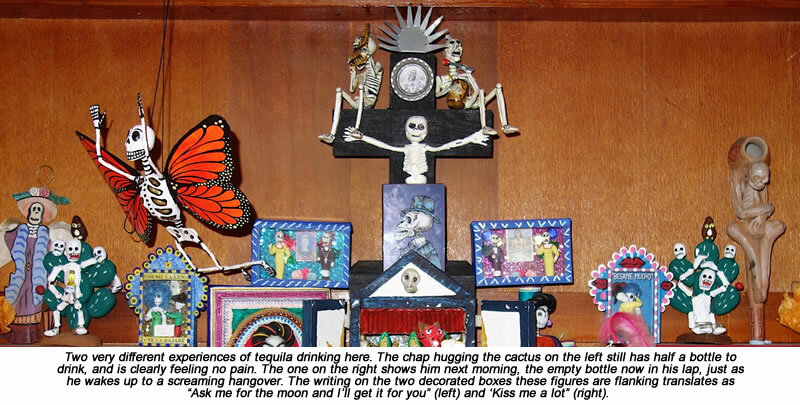 To learn more about what happened to their bodies, check out Atlas Obscura. See? 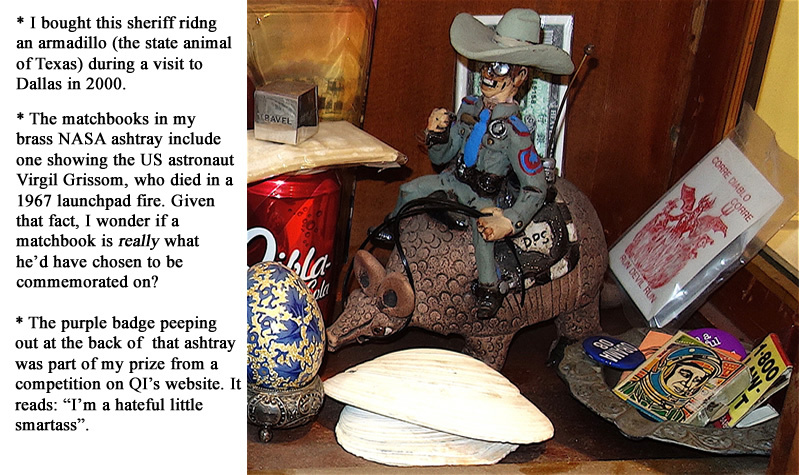 I told you my Anubis did stomach crunches. 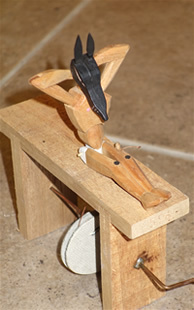 Cabaret Mechanical Theatre has a page about Paul Spooner's automata sculptutes here. 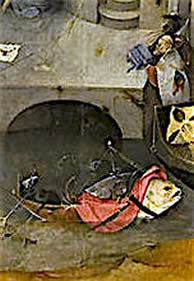 Detail from Hieronymus Bosch's triptych The Temptation of St Anthony, showing my fish. See the full painting on Wikipedia here. 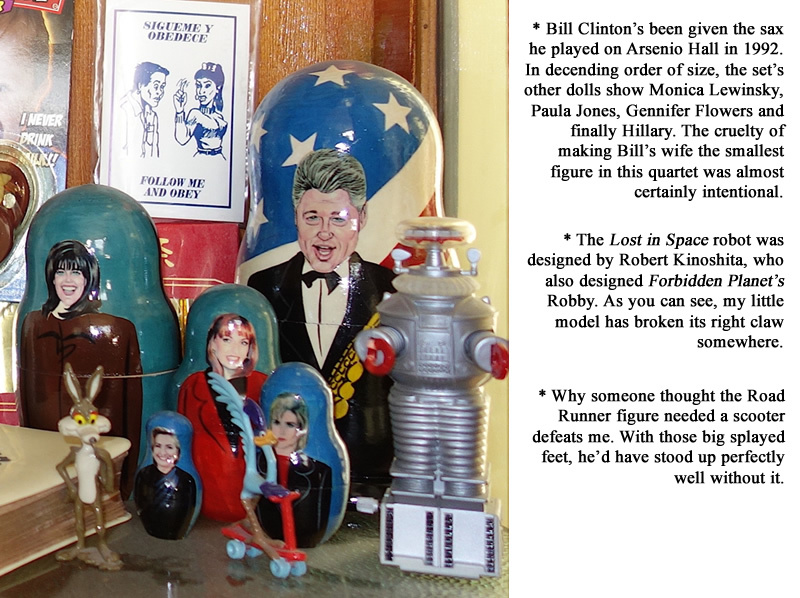 Robby the Robot and friend. 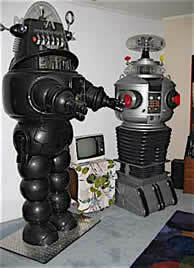 The two machines battled each other in a 1966 Lost In Space episode called War of The Robots (YouTube). 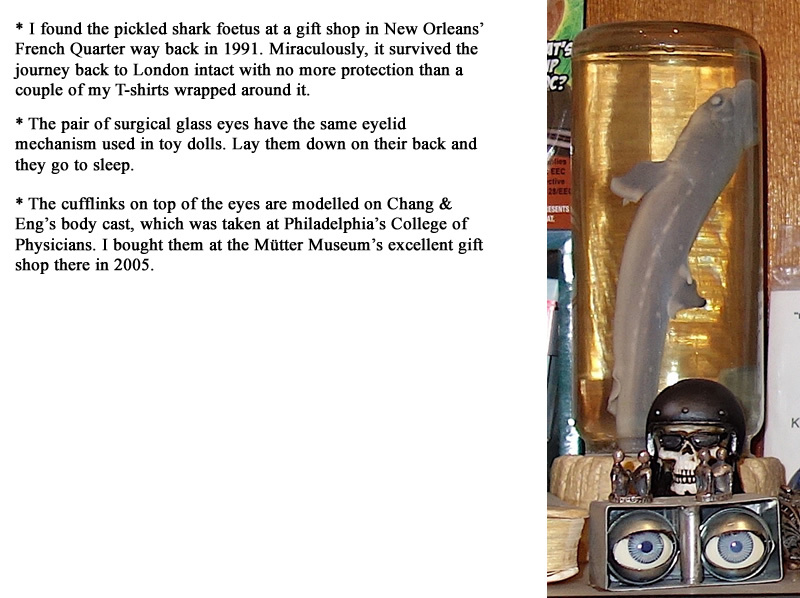 An image from Get Stuffed's online taxidermy gallery of its most notable specimens. 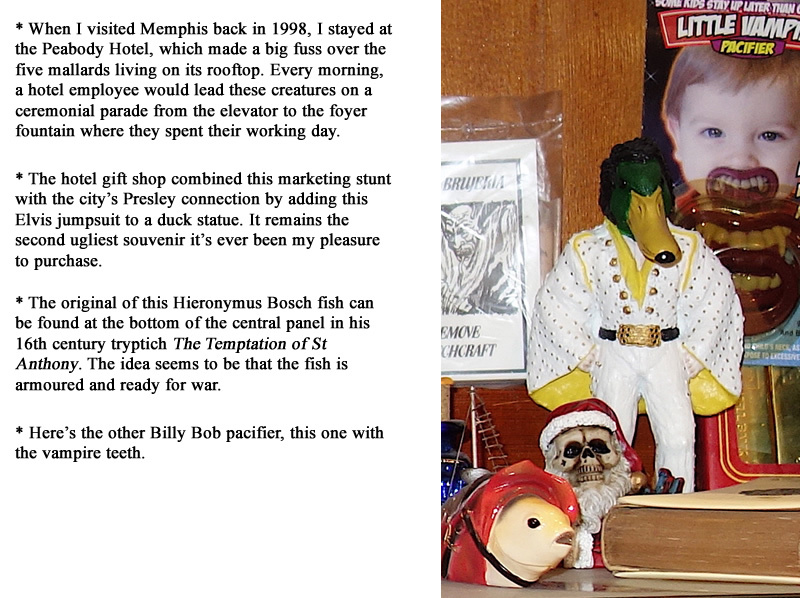 One recent customer was the US writer David Sedaris. 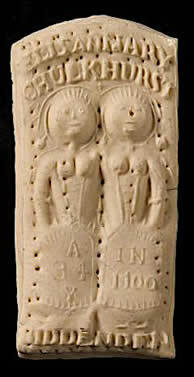 The Biddenden Maids biscuit. 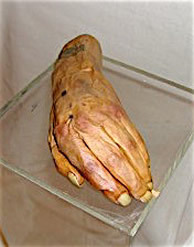 For more information on their legend and the custom it spawned, visit this Pitt Rivers Museum site. The 1930s poster my lunchbox carries. 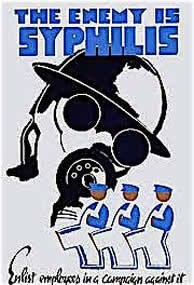 You'll find lots more equally stylish vintage WPA posters to admire here. 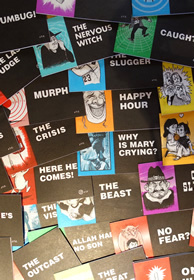 A small sample of Jack Chick's tract comics. 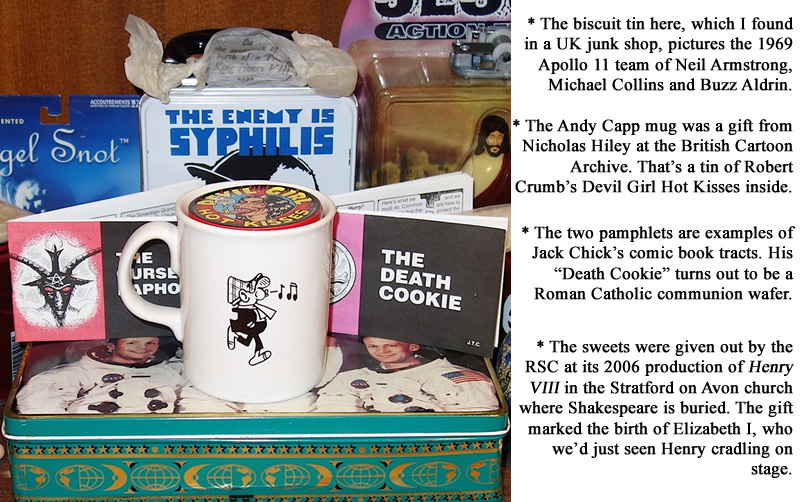 Chick Publications has posted The Death Cookie online for your reading pleasure.